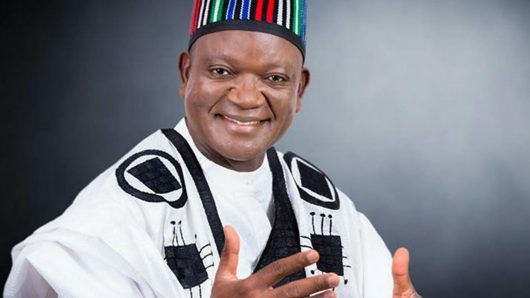 A former President of National Association of Nigerian Students and PRODA chairman, Mr. Daniel Onjeh, on Sunday burst into tears after INEC declared Governor Samuel Ortom of Benue winner of the 2019 governorship election. Onjeh, who wept profusely at his home town in Ogbadibo in reaction to Ortom’s victory, stated that he was weeping for Benue people. Onjeh said he was not sure if President Mohammadu Buhari would release more bailout funds and Paris Club refunds to Benue in the next four years since the ones released before had not been accounted for. Onjeh is also the Board Chairman, Project Development Agency, PRODA. “How long will the children of workers and pensioners in Benue be out of school for lack of financial support from their incapacitated and oppressed parents? Onjeh expressed surprise at the way PDP big shots in Benue, who condemned Ortom’s governance style while he was in APC, made a U-turn to support the same man they condemned. “This flip-flap Politicians’ behavior shows that they are only working for their own selfish purpose and not for the common good of the masses as always portrayed,” Onjeh lamented. The former student unionist therefore, encouraged Mr Emmanuel Jime of APC who contested against Ortom not to give up on the fight for his mandate. Onjeh urged Jime to head to the tribunal, pointing out that he had good grounds to do so since there were so many irregularities of rigging and electoral malpractices in the conduct of the election. “I expected INEC to have cancelled the places where the use of Card Readers was even disregarded.